Welcome to your one-stop source for real estate services in Oakland and Macomb counties. I've been working as a full-time Realtor since 1997. Know that I'll will work in your best interests whether you're selling or buying, or both. Please view homes for sale and real estate information on my website. You'll find real estate buying and selling tips, relocation help, local interest and mortgage information, too. Contact me at your convenience, when you're ready to make a move! Catch up on the latest market trends. 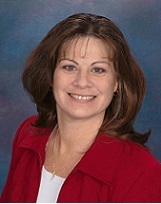 Register here to start the process of working with Mary Rettig, Associate Broker, Realtor. Please contact me, at your convenience. Please know that while I'm working with clients, I give them my full attention. I'll respond to new inquires as soon as possible. We can't thank you enough for your helping us find, and purhase our FIRST HOME!